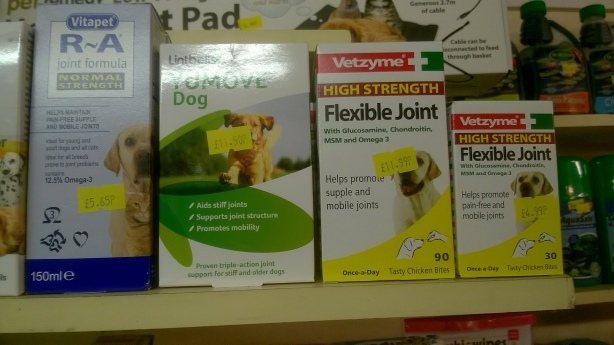 We sell joint care products such as Vetzyme Flexible Joint and Yumove, also R+A 170ml, a liquid joint care product. 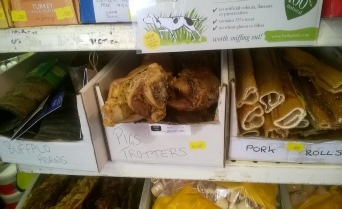 We also sell Meat and bone meal both in 400g and 4kg sizes. 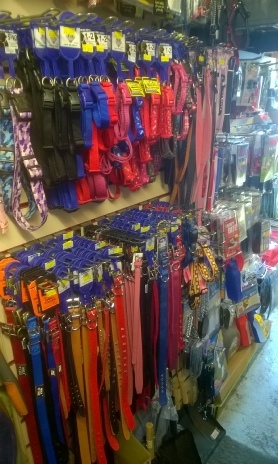 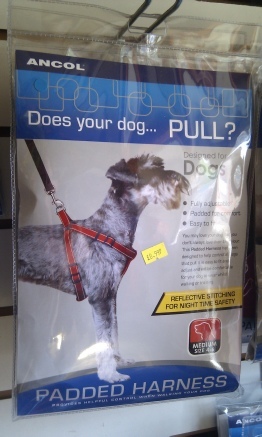 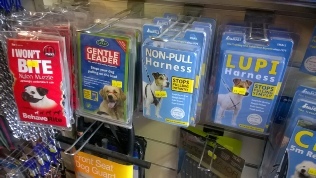 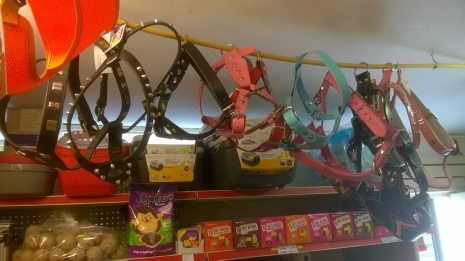 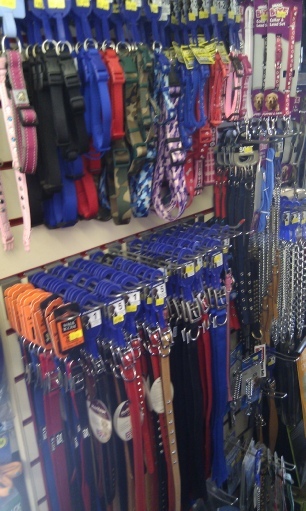 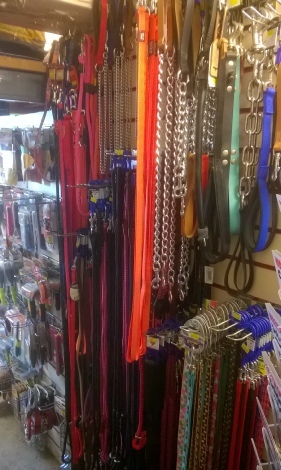 We stock a large range of collars,leads and harnesses, mostly from Ancol. 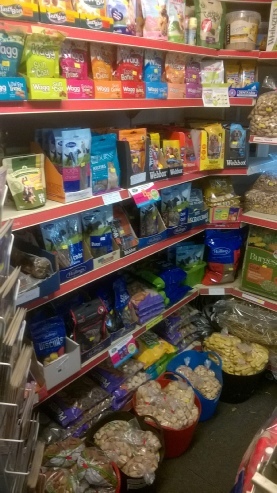 We have a range of dog treats in stock, everything from pig and cow ears to chicken feet. 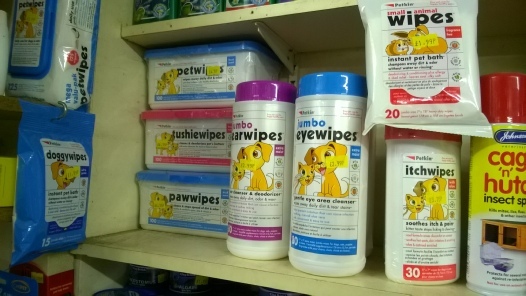 Also rawhide bones, natural treats such as tripe, and prepacked treats such as Bakers and Pedigree. 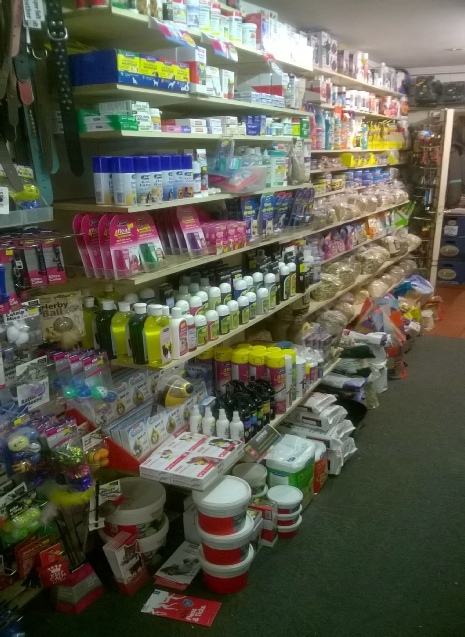 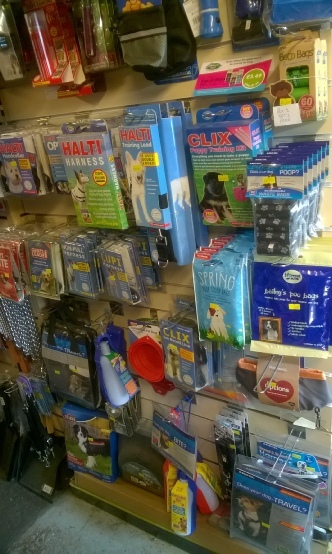 We have a large selection of grooming products as well as muzzles, haltis , training leads and waste bags plus more. 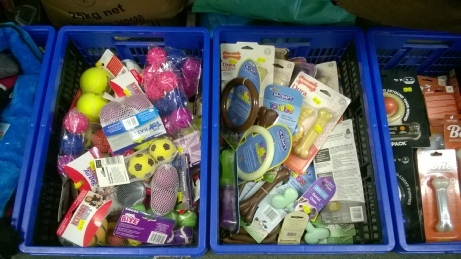 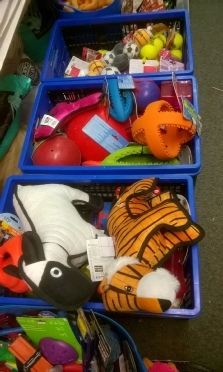 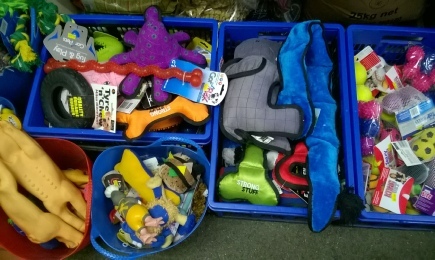 We have a large range of toys in stock, from retriever dummies, dumbells and stuffed ducks to stuffing free toys and tuggers in various sizes. 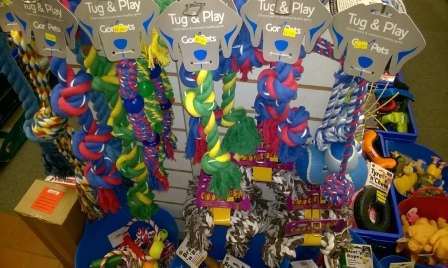 We also sell Nylabones, Marrowbones and Tasty Bones, all tough toys made from nylon. 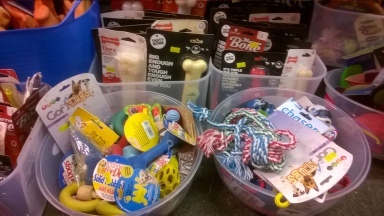 We also stock Rubber balls, vinyl balls and frisbees, as well as a selection of Kongs. 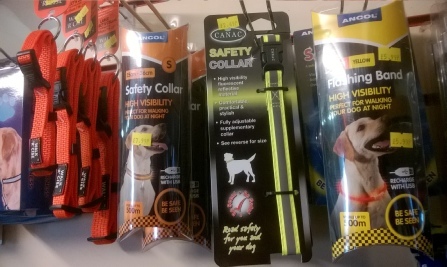 Night time collars, both fluorescent and flashing are also in stock. 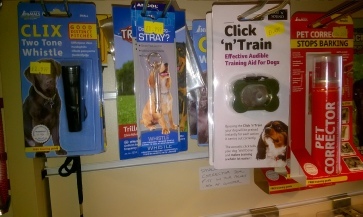 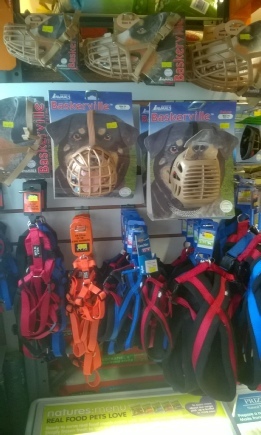 We also sell whistles and clickers for training as well as Haltis, training leads, harnesses and muzzles. 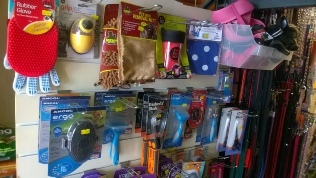 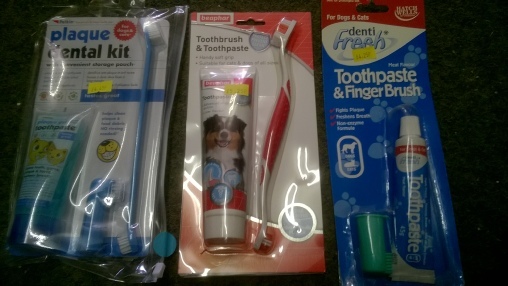 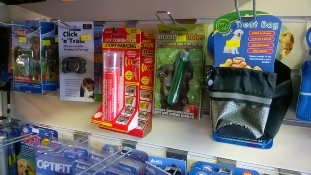 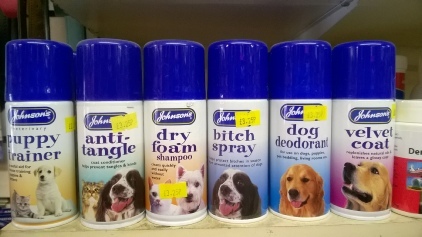 We have a large amount of accessories in stock, from poo bags and travel bottles to a wide variety of grooming products. 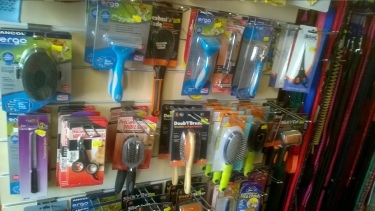 We stock pin/bristle brushes as well as slicker brushes, stripping combs, undercoat rakes and scissors. 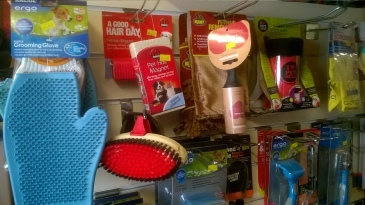 We also have nail clippers, combs and grooming gloves/pads. 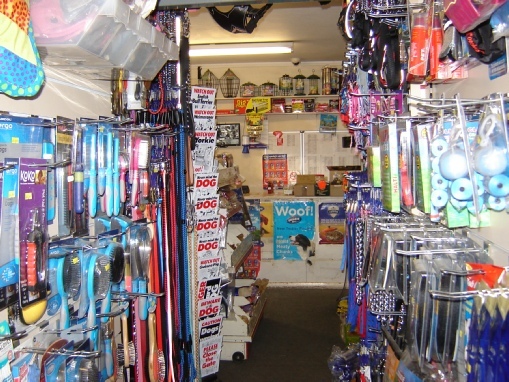 We also stock tie out stakes and various lengths of tie out cables. 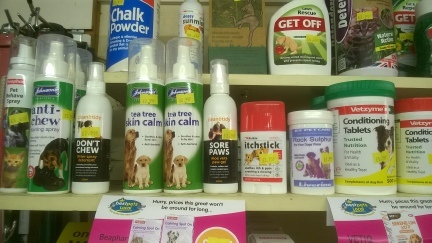 Conditioning tablets, Tea tree skin cream, as well as Anti-chew sprays are also in stock. 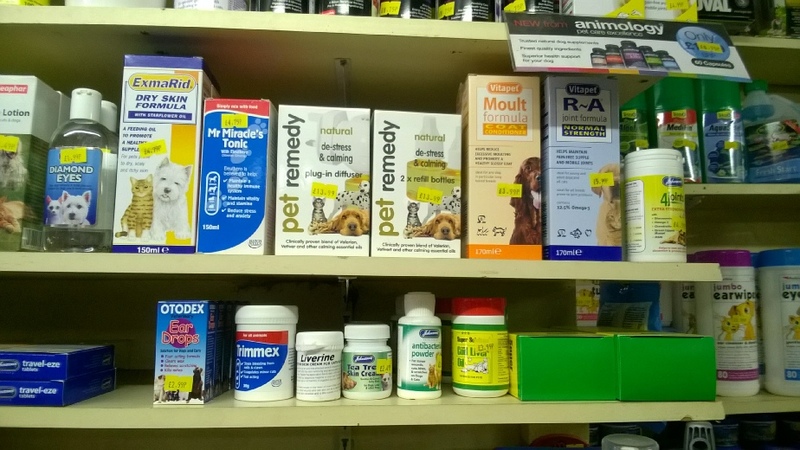 We stock Pet Remedy diffusers and refills, as well as skin care products such as Tea tree skin cream, Liverine unction cream and wound powder. 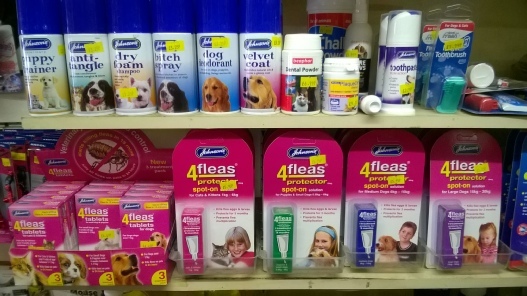 Otodex ear drops and Johnsons tear stain remover are also popular products. 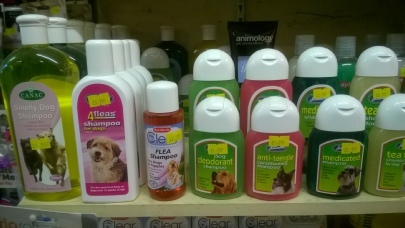 We stock a large range of shampoos, colognes and no rinse shampoos. 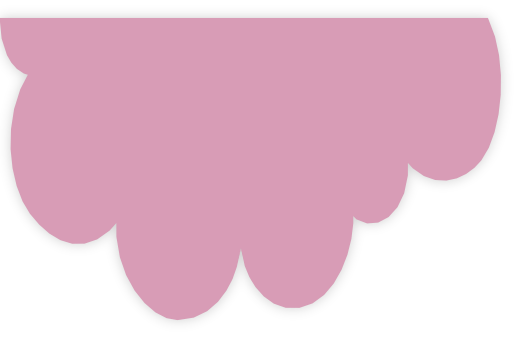 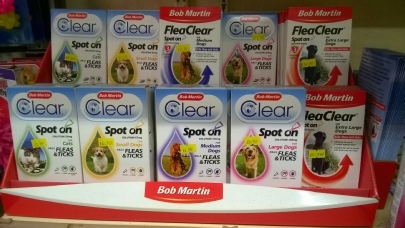 We stock the Frontline equivalent, Bob Martin FleaClear, in 1 month and 3 month sizes. 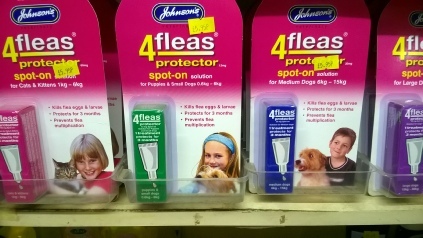 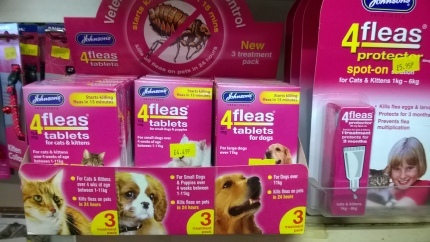 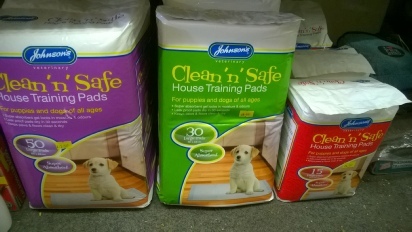 Johnsons Flea tablets are available as well as the 4Fleas protectors which offer 3 month protection for cats and dogs, shown above. 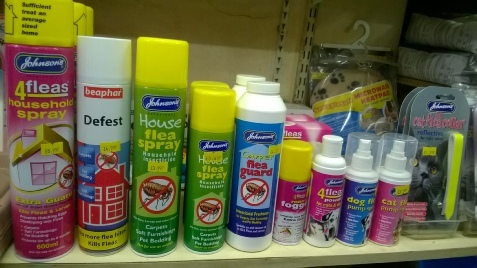 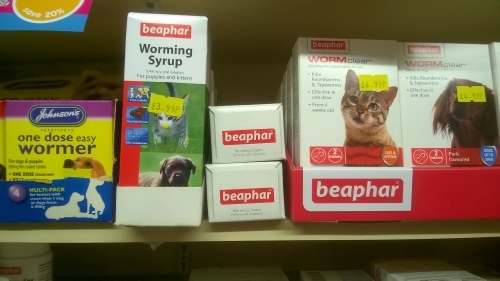 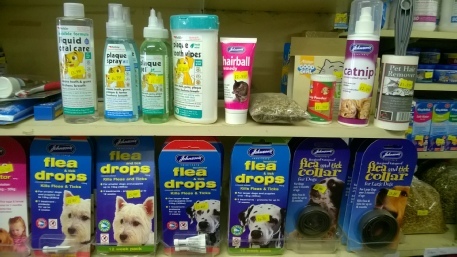 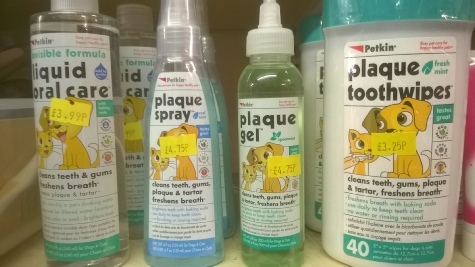 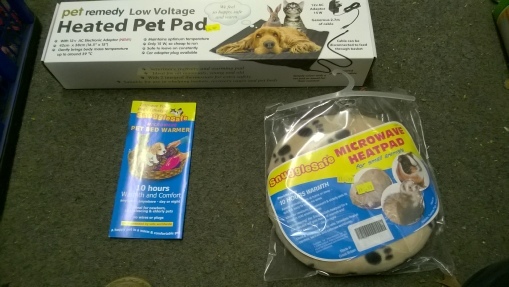 Flea products for the home as well as the pets are also in stock. 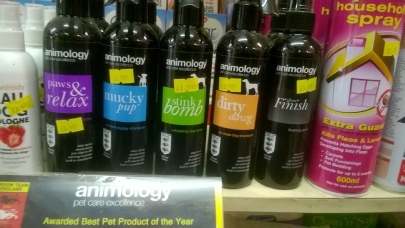 We stock a large range of grooming products. 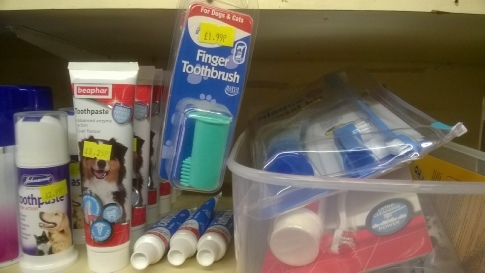 We have nail clippers, trimming scissors, grooming gloves and brushes. 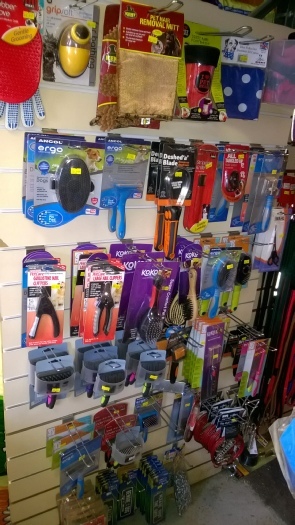 Also undercoat rakes and shed master grooming rakes. 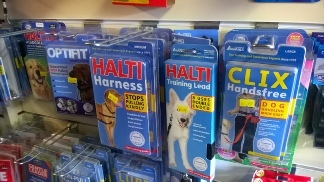 We also stock Haltis and Halti leads and harnesses. 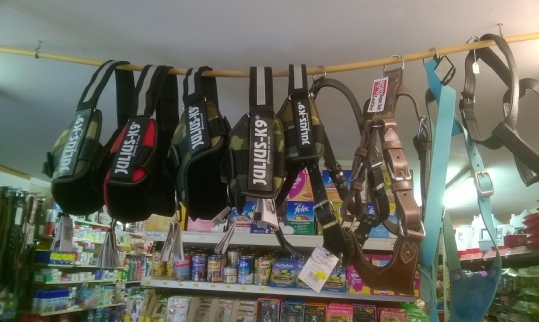 Lupi and non-pull harnesses are also available. 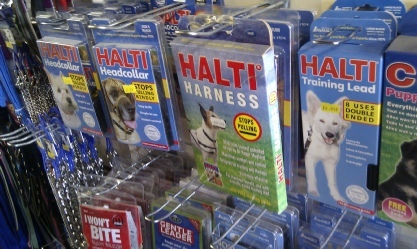 Julius harnesses are now in.